It's definitely gift-giving time. Time to make a list and check it twice. If you have a kid in your life that you'd like to spoil silly this holiday season (or maybe she's a winter baby), it's your lucky day! I am teaming up with Lauren from A Lovely Lark (and other amazing brands like ErgoBaby and Colette Bream and Magpie Lovely) for a lovely giveaway worth over $750 for one lucky winner! 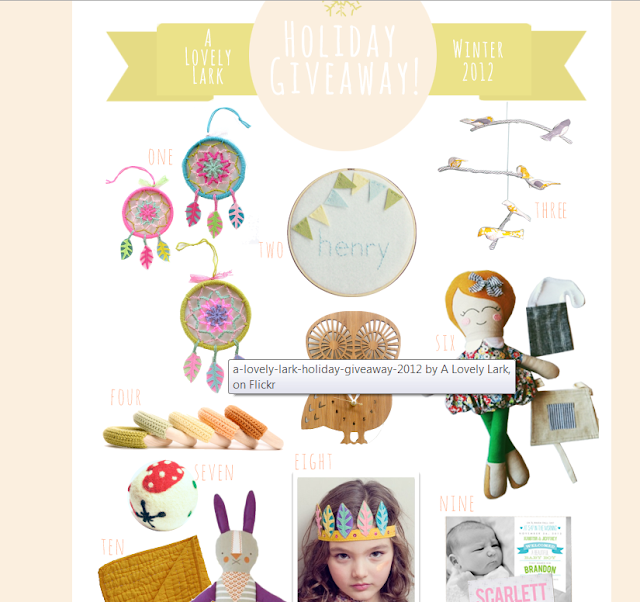 I am also honored to be included in A Lovely Lark's Holiday Gift Guide for Winter 2012. 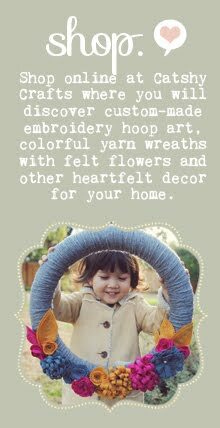 Check out my personalized "Henry" hoop art (#3 on the list). 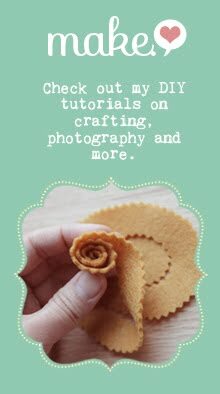 And finally, I'd love to share a coupon code with for visiting my blog today and checking out the giveaway at A Lovely Lark. 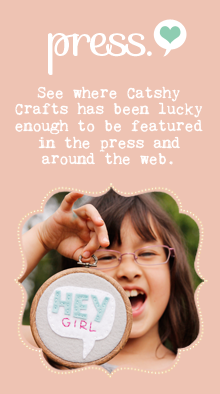 Enter the code "LOVELY10" at checkout at my shop, Catshy Crafts to receive 10% off.